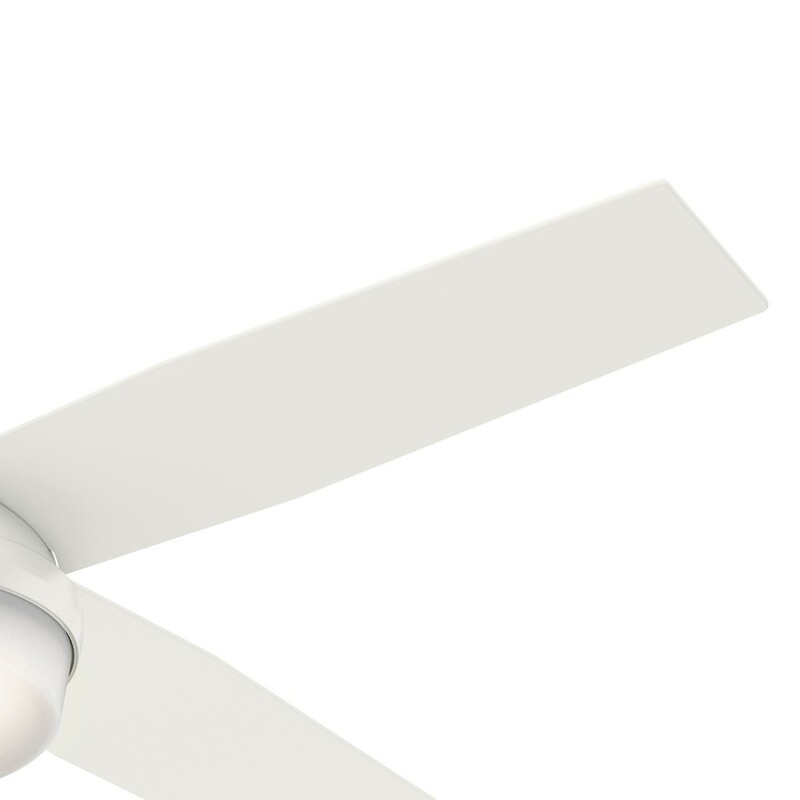 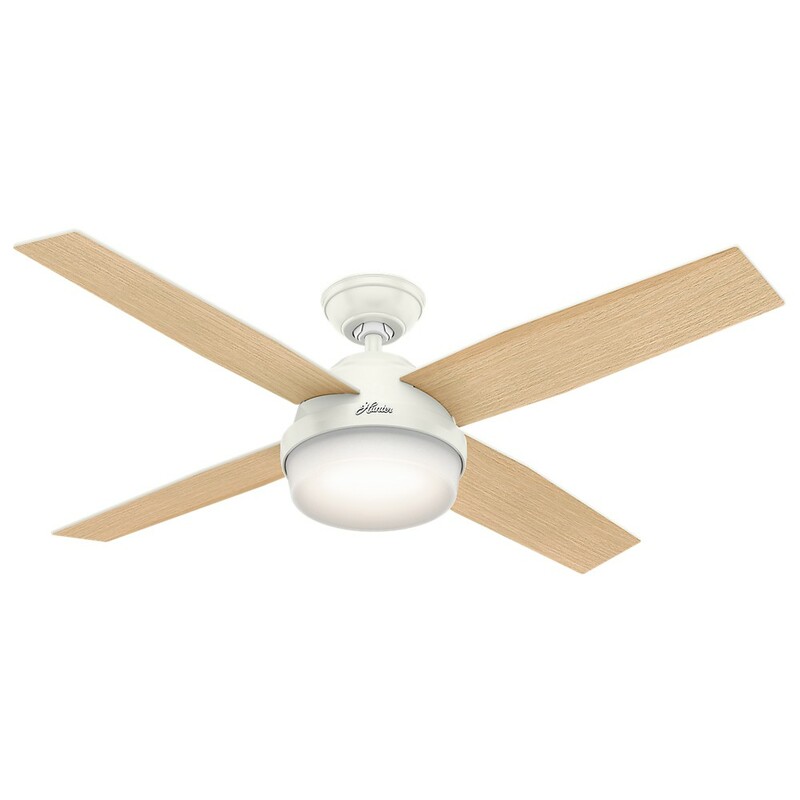 Beautiful and clean, this ceiling fan is ideal for large rooms. 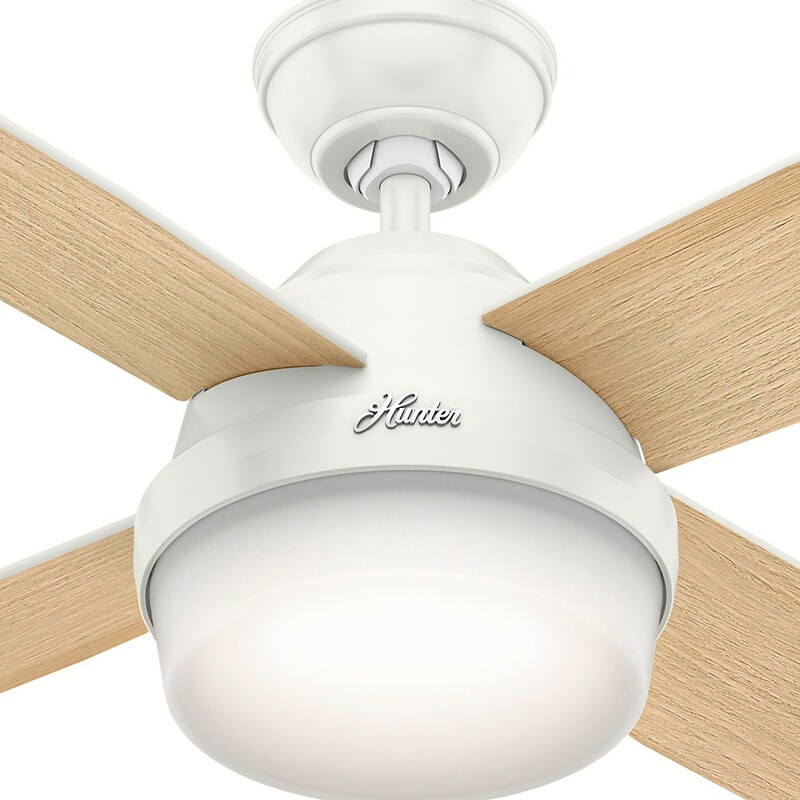 The integrated cased white glass light kit uses two 9.8W dimmable LED bulbs (included) for energy efficiency and mood control. Reversible Composite blades in Fresh White / Blonde Oak are included.